The Bed Butler was designed with convenience in mind. 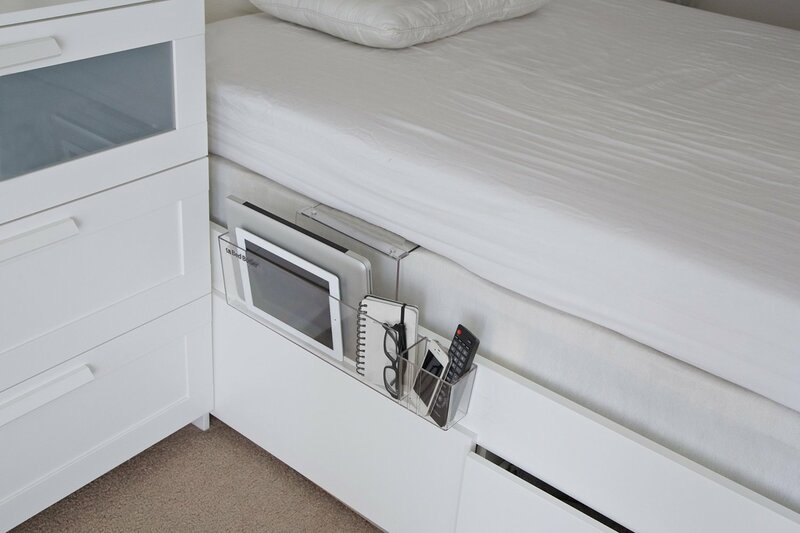 Use the Bed Butler to store all of your bedside needs, including remotes, books, tablets, and e-readers. The Bed Butler 2.0 can accomodate up to a 15" laptop, and up to a 9" tablet for the Bed Butler Mini. With Bed Butler, you will never have to search through the covers for lost items again. All Bed Butler products are proudly made in the United States, using recycled plastics. The Bed Butler 2.0 and Bed Butler Mini are made with 3/16" Thick Ultra durable plastic and are built to last. 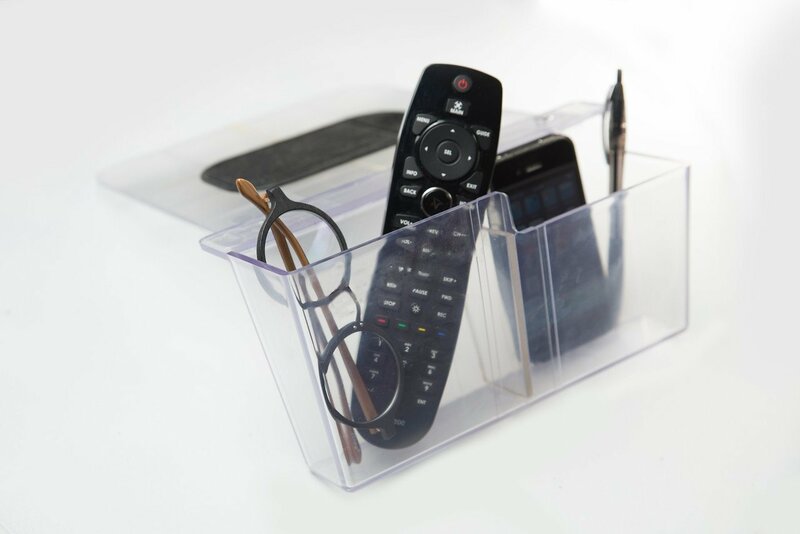 The Bed Butler 2.0 is the premier bedside organizer offered. It offers enough space to accommodate up to a 17" laptop, as well as Cell Phones, Remotes, Magazines, and More! 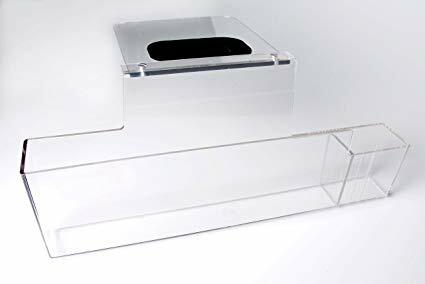 Made from 3/16" ultra durable recycled plastic, the Bed Butler 2.0 can safely hold up to 14 pounds, keeping your bed or nightstand clear of clutter. The Bed Butler Mini offers similar convenience of the Bed Butler 2.0 in a more compact size. 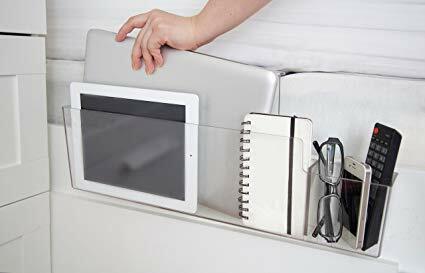 The Bed Butler Mini is perfect for storing a Tablet, Phone Charger, Remotes, Phone Chargers, and more! © Copyright 2018 Bed Butler, LLC. All Rights Reserved.